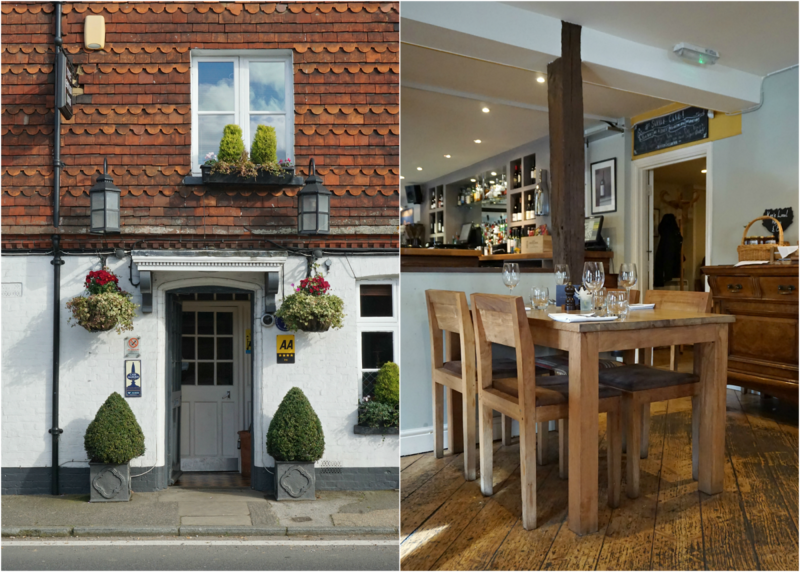 Living in Farnham, we are spoilt with excellent pubs and restaurants within walking distance - or a short drive, in the case of The Swan Inn. 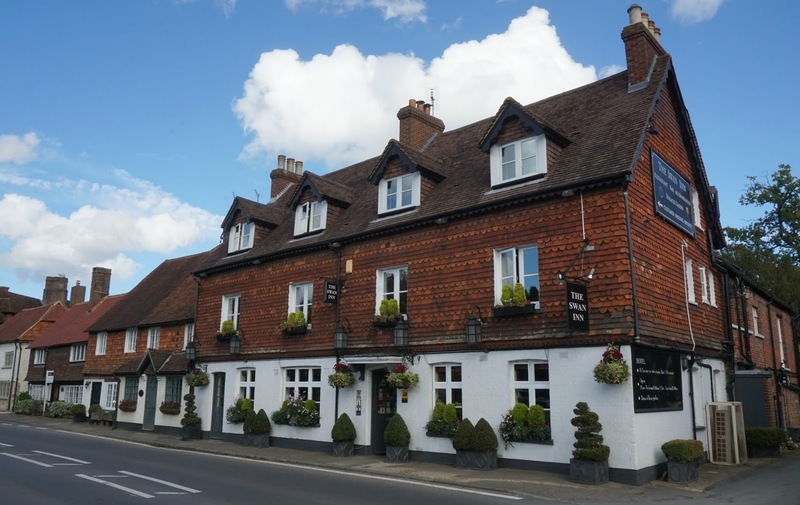 Chiddingfold is a thirty minute drive south-east of Farnham, and a scenic drive at that. Passing through Elstead and Witley en route, you get to see Surrey at it's best, making that roaring fire and pint of locally-brewed Hazy Hog the perfect antidote to a busy week. 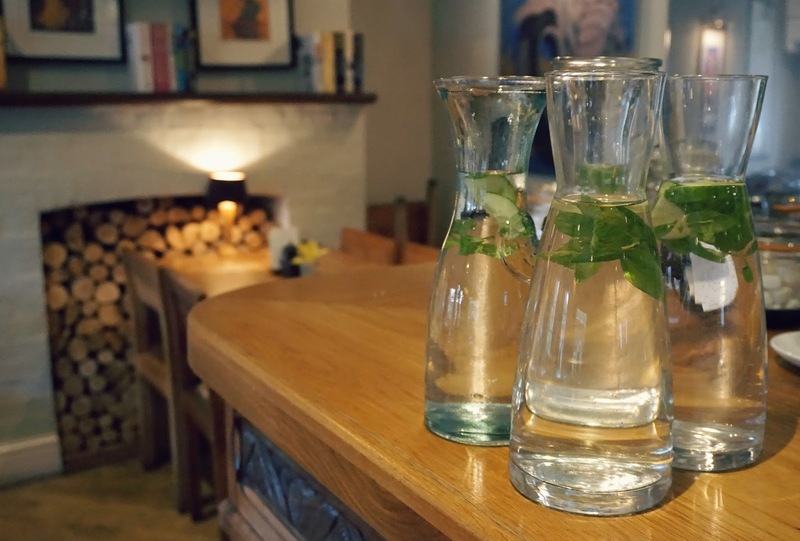 And The Swan is that perfect mix of country pub meets restaurant dining; boasting two AA rosettes and a menu to please even the finest of diners. 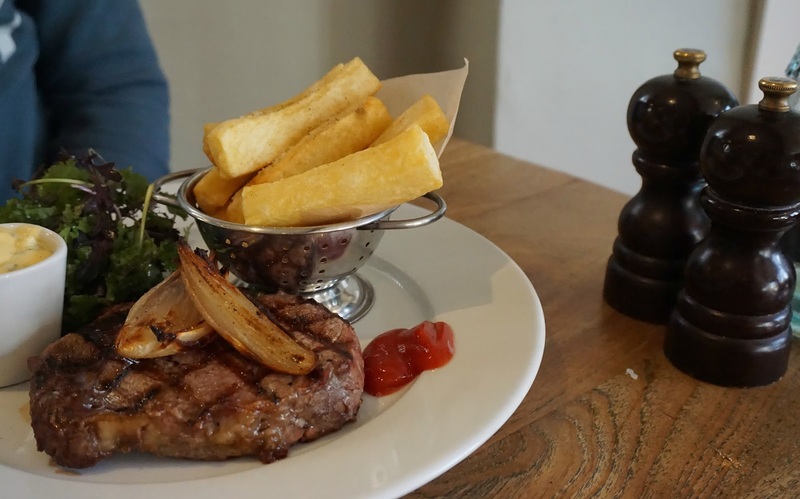 Combined with their traditional pub menu - burgers, fish and chips et al - its one of those places you can see yourself going back to again and again. So, lets talk food. 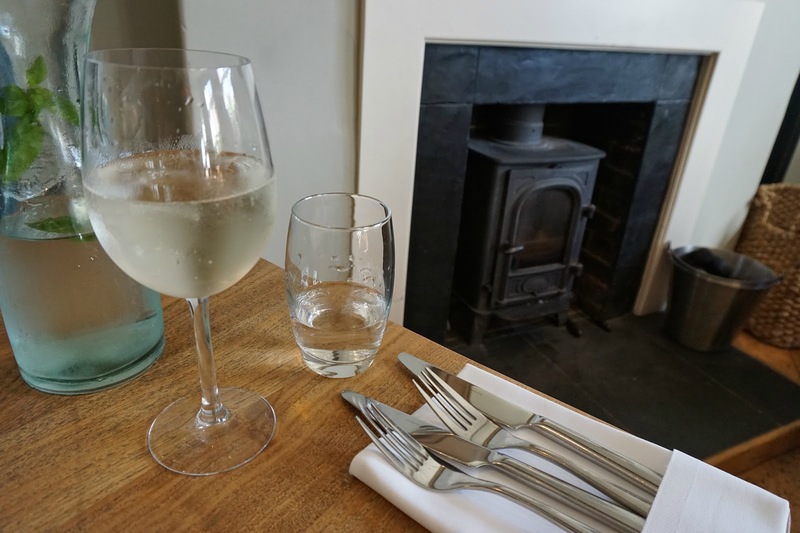 Once we'd settled down at our table with a glass of wine, we were able to check out the menu - we visited at lunch time, but weren't restricted to typical pub grub and sandwiches. 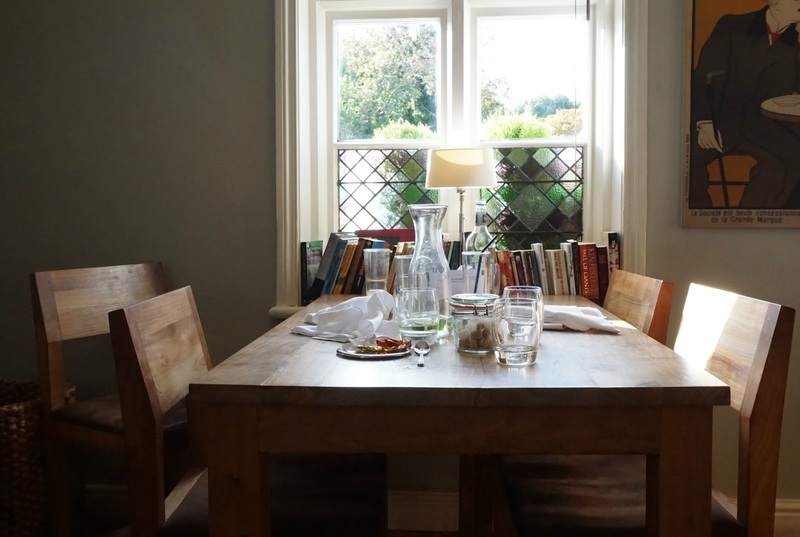 Yes, there were cheese sarnies and salads, but expect to see sourdough loaves, zucchini fries and root vegetable crisps alongside the more traditional fare. We decided to go for the full three courses, and started with ham hock terrine for him and sea trout gravadlax for yours truly. The sea trout was just delicious; curried and served with charred orange it was totally different from smoked fish I'd tried elsewhere, and the presentation was spot on. It was simple, but the flavours packed a real punch and the jelly made it that little bit extra-ordinary. 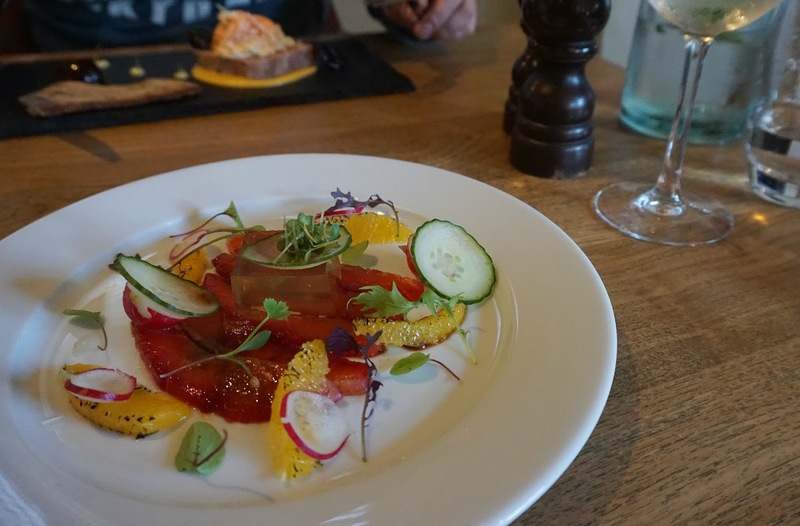 Rich's ham hock terrine was served with poached prunes and a carrot remoulade - once again feeling that little bit more special that you might expect from your run-of-the-mill country pub. Other appetisers included ox tongue, goats cheese with roasted figs and beef carpaccio. Come hungry and go for a starter; I promise you wont regret it! For the main event I opted for the pork belly - and... wow. Not one to usually go for something quite so meaty; I often find myself choosing the veggie option despite not being a vegetarian per se. This was just other-wordly! 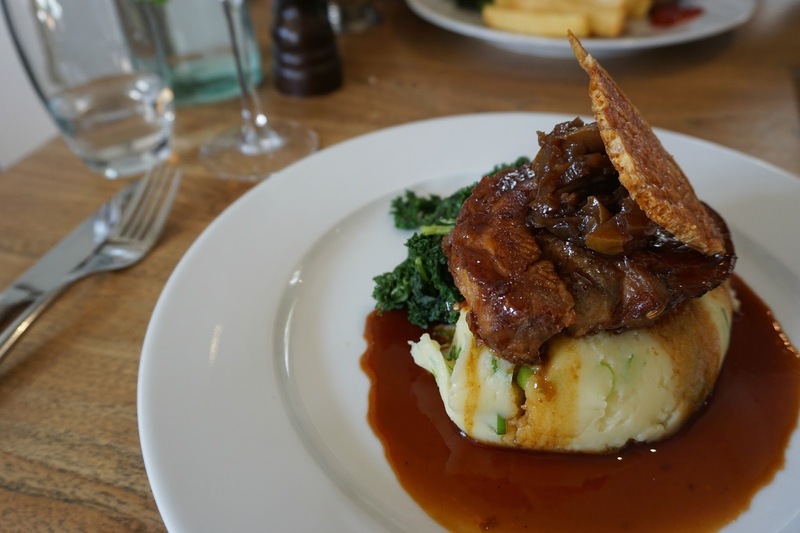 Served with champ mash, chutney, kale and perfectly crunchy crackling, the pork was melt-in-the-mouth perfection. An absolute dream. Rich's ribeye steak was cooked medium rare (as it should be, in my opinion) and accompanied with fat chips and hollandaise sauce. The chips were as chips should be, but so often aren't - chunky, crispy and seasoned on the outside with a fluffy centre. Even when I felt I couldn't eat another mouthful I found myself trying to pinch another of Rich's chips... just for good measure. 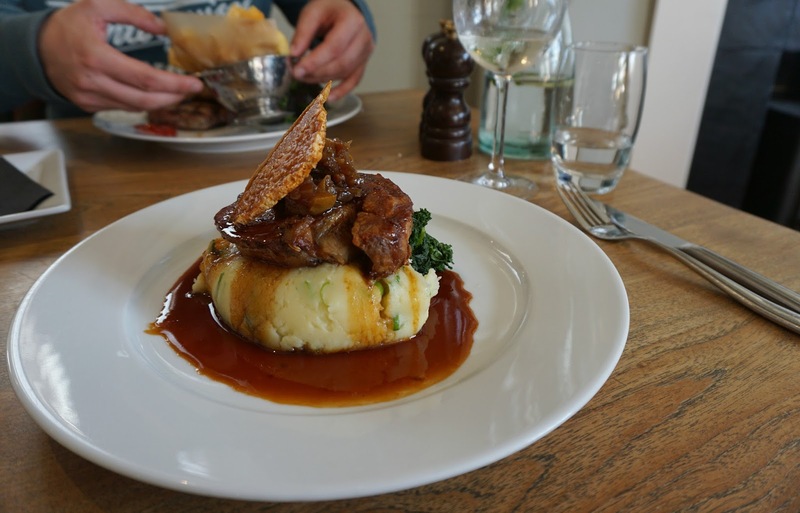 Alternatively there were pulled pork burgers, venison haunch, pan seared cod and root vegetable terrine on the menu, and a handful of other mouth-watering options. Of course, we couldn't leave without trying a pud. Not quite able to manage one each, we decided upon the bread and butter pudding with sweet potato ice cream to share. Yes, you read that right! Sweet potato ice cream - handmade on site, it was delicious. A few orange chunks masquerading as caramel; you'd never have known its starchy origins! Next time we hope to try the poppy seed ice cream. The bread and butter pudding itself tasted deliciously chocolate-y and perfectly more-ish; forgetting we were full we inhaled this sweet treat. Alongside dessert; local cheeses and dessert wines, coffees and teas bring the menu to a close. 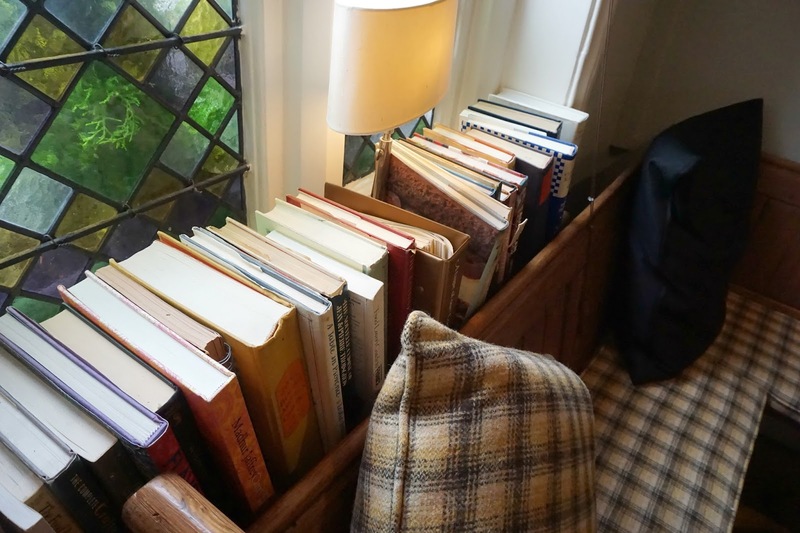 The pub itself is everything a British pub should be; cosy, friendly and warm. The waiters excellent and setting relaxing, we had a lovely couple of hours here. 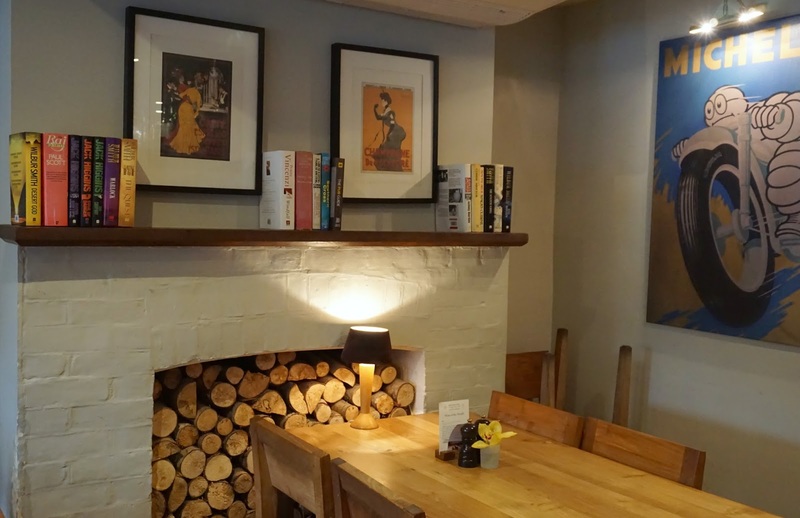 The Swan has a large garden area; perfect for a couple of al fresco vinos on a lazy warm weekend - something we find many pubs in Farnham lack. 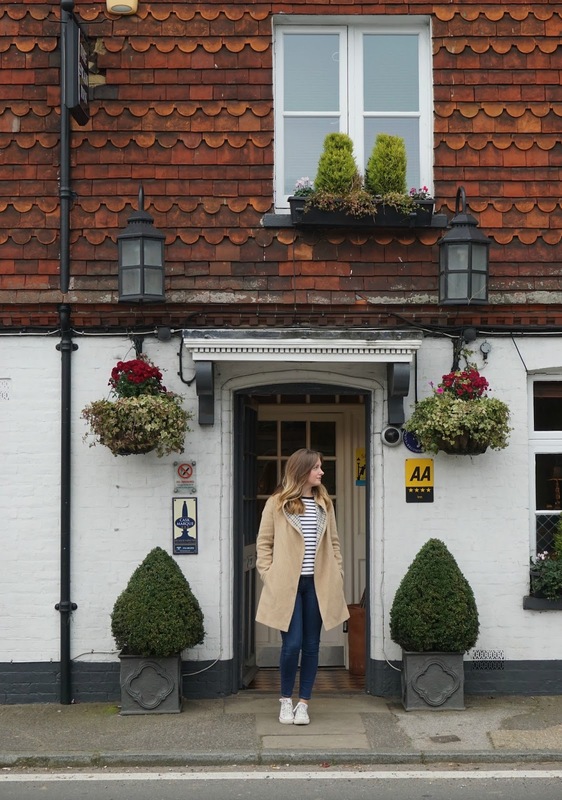 When we were travelling around SE this year we found ourselves missing British pubs, in particular that lovely time of year when the afternoons are warm and you can easily wile away a few hours with good company in a pub garden. Not content with jut serving excellent food day in, day out, The Swan also puts on a Supper Club once a month. For just £35 a head, you can enjoy four courses and matching drinks on the last Tuesday of every month - a complete steal. More info here. From what I hear it gets booked up well in advance; so early booking is essential. 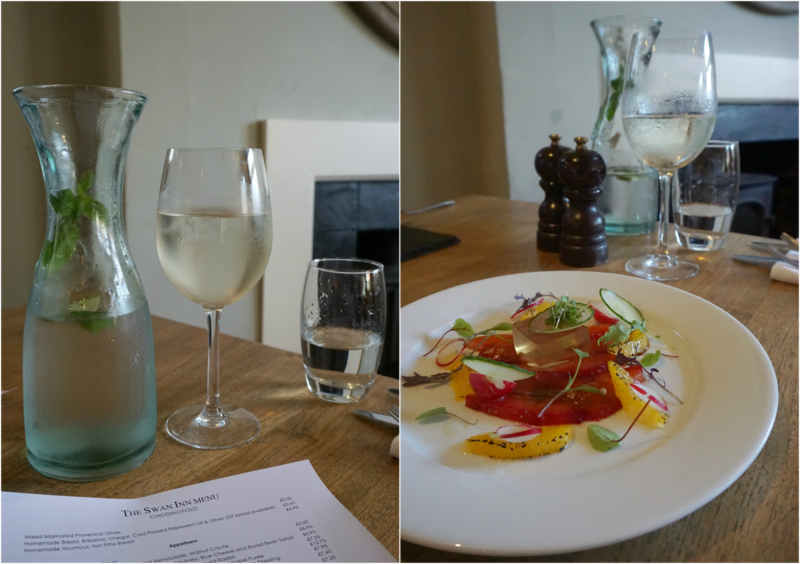 Thank you to The Swan Inn for welcoming me to review their pub restaurant and menu - all views my own.